After an extensive search that involved many Hollywood heavy hitters, Deadpool 2 finally found its Cable in the form of Avengers: Infinity War star Josh Brolin. However, with the film still not even in front of cameras yet, it’s going to be a while before we get any sort of official reveal of the actor suited up as the fan-favourite mutant, but in the meantime, there’s been plenty of awesome fan-art doing the rounds. One piece in particular though may top everything we’ve seen thus far. 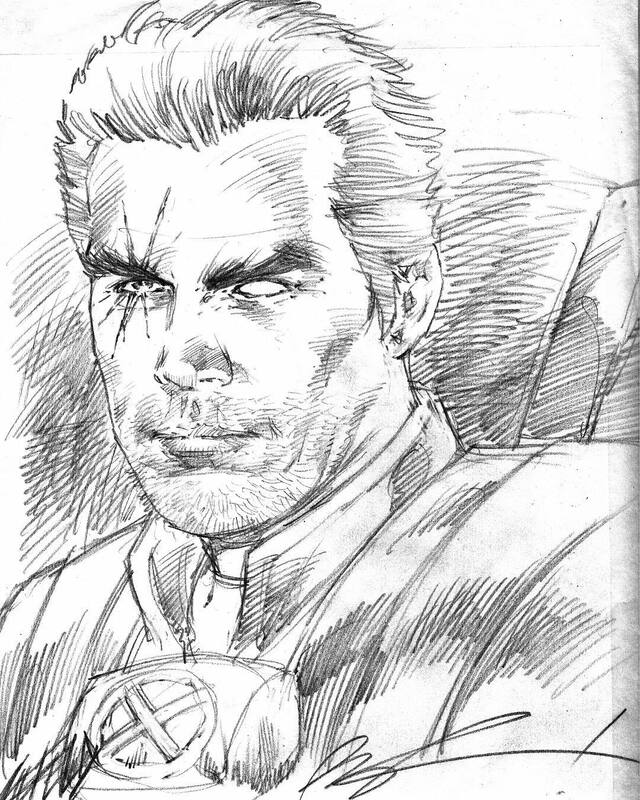 Deadpool and Cable co-creator Rob Liefeld has shared his own interpretation of what Brolin might look like in the role, and if this drawing is anything to go by, it’s fair to say that the actor really suits the character – visually speaking, at least. It’s hard not to wonder if Liefeld is basing this off something he’s seen from the movie or simply just his own interpretation of how Cable should appear, but if Brolin does wind up looking something like this, it’s hard to imagine too many people being unhappy with his casting. It’s thought that following the character’s introduction in the sequel, Cable will take on an even larger role in Fox’s X-Men Universe. That includes a part in both Deadpool 3 and X-Force, not to mention a possible appearance in one of the main X-Men movies. After all, Cable is the son of Scott Summers and Jean Grey, so having him show up there would make perfect sense. Regardless of where he winds up though, introducing him into this cinematic universe is a big step for the studio and you can bet that we’ll be seeing a lot more of Brolin moving forward after he makes his long-awaited debut in Deadpool 2.